Games are great, but unless you’ve got the right equipment, you’re never going to get the best out of them. From a 4K HDR TV, to a good sound system or headset, the right accessories around your console of choice can make the experience of gaming even more special. With a small child that isn’t always fond of napping in my house, good headsets have become worth their weight in gold to me. With that in mind, I went ears on with the new wireless headset from LucidSound, the LucidSound LS41s, and came away with one of the best headset experiences I’ve ever had. 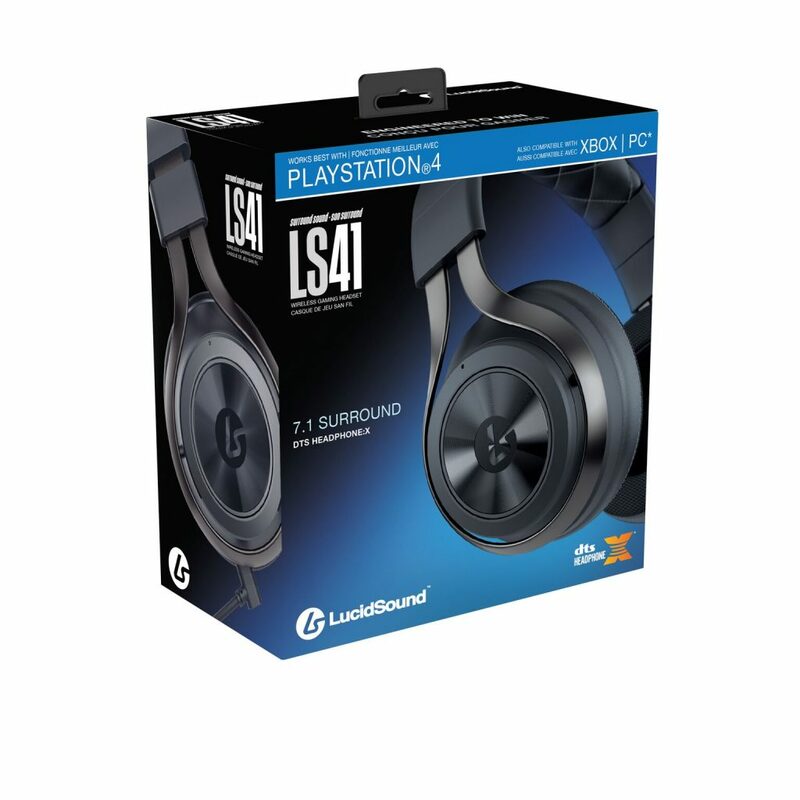 The pair of LucidSound LS41s I received for review were geared towards the PlayStation 4 according to the box, but the headset does work with other platforms – albeit with a slightly less amazing experience. When connected to a PlayStation 4, all game and chat audio is transmitted wireless via the included base station (once connected to your console, of course). 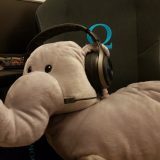 On Xbox One, you’ll need to connect to your controller’s 3.5mm jack to get chat audio – meaning that people with older generation controllers will need additional adaptors or a new controller to get the most out of the headset, while Switch/Mobile can only be connected using the 3.5mm jack. 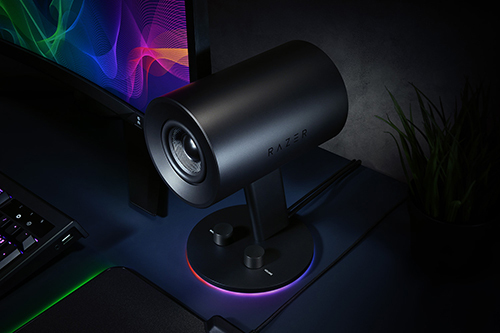 PC players have a slightly different set of rules again, as the included usb base station will only output stereo audio wirelessly unless your PC has a digital audio out. What this all means is that while the LucidSound LS41s do have universal compatibility, if you’re looking for a relatively uniform experience across all platforms you’ll need to look elsewhere. That said, once you’ve got your LS41s set up and connected to your PS4 – a process which involves going to a website for instructions, because the 20-odd page instruction manual doesn’t include full setup instructions – the audio experience is second to none. I tested my LS41s with a variety of games, but there was no doubt that the most ear-catching experiences came in the form of shooters. The 7.1 surround sound is fantastic, allowing you to clearly make out where shots are coming from and helping to prevent others getting the drop on you. Other games benefit from the surround sound as well, as soundscapes seem to surround you instead of being blasted from in front of you, creating an immersive experience second to none. They’re also great at cutting out outside noise, which can be both a positive and negative if someone comes up behind you in real life and terrifies you by touching you on the shoulder. Even without the surround sound, the LS41s are a fantastic headset, with clean, crisp sound and punchy base. I had no issues with distortion from explosions and it was easy to pinpoint and pick out individual sounds and instruments from game audio. Upon taking the LS41s out of the box for the first time I was left with the impression that they were of a premium quality. The design is sleek and minimalistic, with few visible buttons to detract from the design. 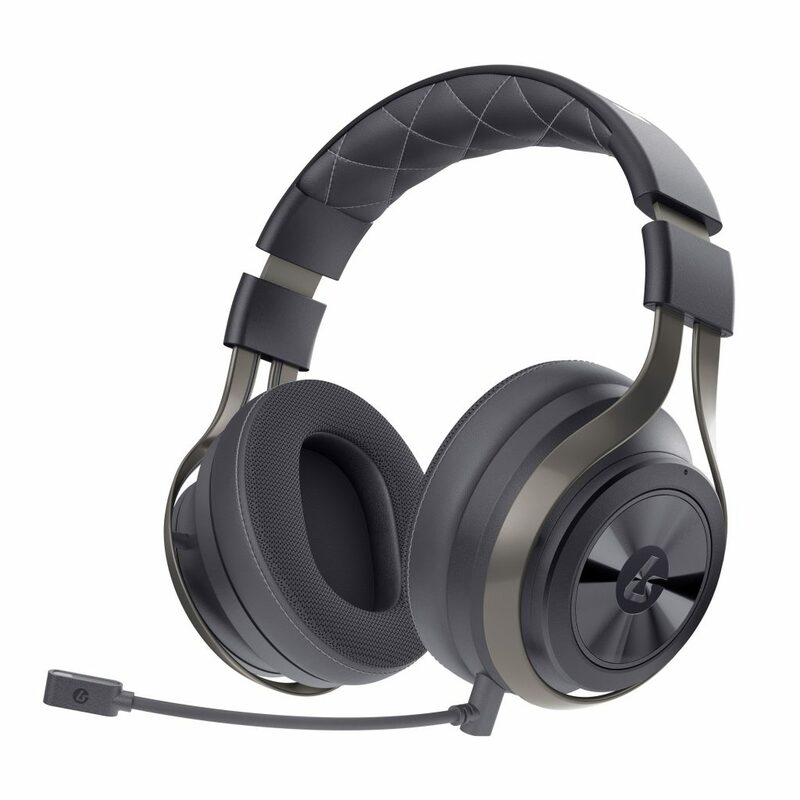 The cups and headband are both a comfortable leather, the metal frame is solid and sturdy, and the removable microphone keeps the design slick if you’re not playing a game with chat. Put succinctly, the LS41s are something I would be happy to wear around the town, as opposed to most gaming headsets that are big and garish. The volume and microphone controls are built directly into the design of the cans, doing away with small fiddly buttons and instead using twist rings and large all-encompassing buttons. There’s no groping around for the right button or accidentally hitting the wrong one along the way. It’s a really smart design decision and is one I wouldn’t mind seeing a few other headset manufacturers learn from. On the other hand, the LS41s are also a little weightier and tighter on the head compared to other headsets I’ve used. They’re still generally comfortable, but the tight fit made my head a little achy after long gaming sessions wearing them and I wouldn’t be comfortable using them with my PSVR headset. That said, I do have a slightly larger than average head, so your mileage may vary. 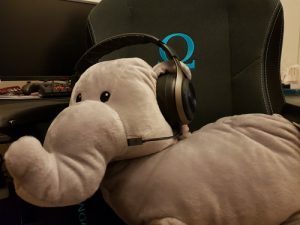 Overall, there’s no doubt in my mind that the LucidSound LS41s are a great gaming headset. The design is sleek and modern, the audio quality is great, and the design of the controls are fantastic. However, they are a little on the heavy side, and they’re not necessarily a one-stop option across all platforms. Still, if you’re looking for a great gaming headset for your PlayStation 4, I wholeheartedly recommend giving the LS41s a go.